Still beating that dead horse? The only things stolen were Hillary's personal campaign files stolen by Bernie's folks who were given access to DNC computers. Heh. You have no clue how deep that rabbit hole runs. There was a REASON the DNC filed a legal brief that if they "redetermined" who a primary nominee was (no matter whom the voters chose), that it did not qualify as election fraud. There was a reason. There's gobs of evidence - IF you're willing to take the red pill and go look. If not, I'm not doing it for you. There was - with multiple counts - a very specific reason. Which candidate got the most votes of rank and file Democrats, in the primaries? 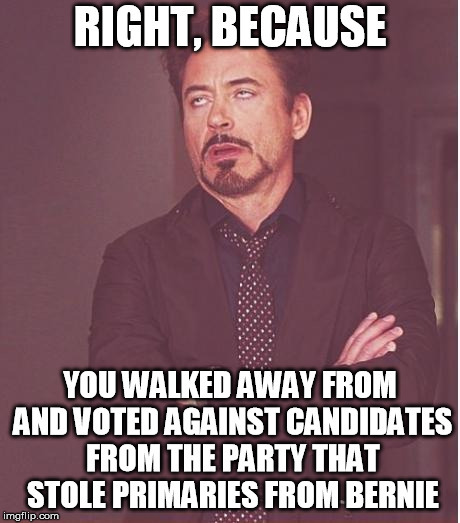 The registered Democrat got over 350 delegates (not super delegates) than the person who refused to join the Democratic Party because it was no better than the Republican Party, according to statements made by him too many times to count. It is possible to lose without being a loser. But, citing conspiracies in the face of facts that prove otherwise, is not a good sign. Yet, you took the time to respond. 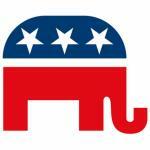 REAL REPUBLICANS. YOU CAN STILL SAVE YOUR PARTY. 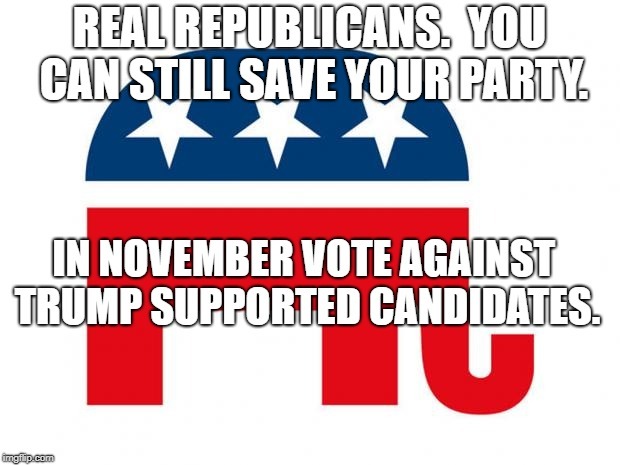 IN NOVEMBER VOTE AGAINST TRUMP SUPPORTED CANDIDATES.